If you were to open your closet right now, a good chunk of it would probably be dedicated to your work clothes, right? Well, among your assortment, do you have the one piece designers swear by? We sat down with Liz Giardina, VP of design at Derek Lam 10 Crosby, to fill us in on the item every working woman needs in her closet. The result? A great poplin shirt. "Something they stressed when I worked at Derek Lam was the importance of honest materials: classic materials like cotton canvas, poplin, and merino wool, fabrics that are in my wardrobe, my mother’s, and my grandmothers, fabrics that have been around for generations. I think poplin is this wonderful crisp light poplin. It makes you look beautiful. You can wear it with jeans, a pencil skirt, and even a pair of sweatpants. Everybody should own a lot of them. I think it is exciting to see someone treat it in a different way, like playing with the proportions and trims of a traditional poplin shirt," Liz said. So true! Do you have the perfect poplin shirt in your wardrobe? If you're still looking for the one, keep scrolling to shop a few of our favorite tops of the moment! 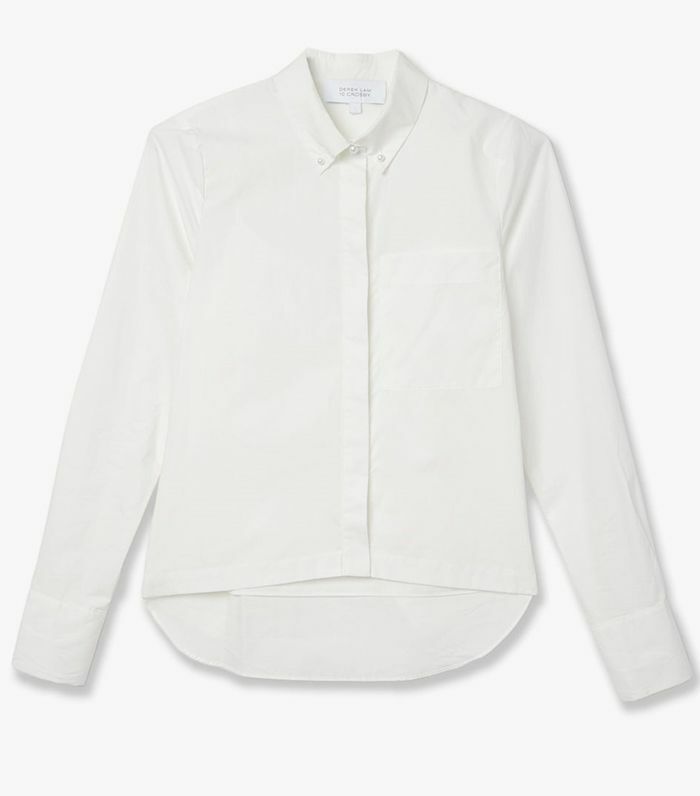 Do you have the perfect white poplin shirt? Let us know your favorite in the comments below!